The announcement that half of the U.S. troops stationed in Afghanistan will come home in the next year has been met with some criticism. Kimberly and Fred Kagan, noted proponents of extending the Afghanistan war, argue that the pace of the drawdown is too fast and dismiss the potential for budget savings. The cost of a slower drawdown is “budget dust in the context of overall defense spending, let alone the national debt, the deficit, or any major social program,” the Kagans write. “It doesn’t cost much compared to other things” is a poor defense for the U.S. strategy in Afghanistan. That strategy cost more than $600 billion over the past eleven years. And it will continue to cost billions each year even after U.S. combat troops leave at the end of 2014. The U.S. is expected to spend about $2 billion per year on economic and development aid to Afghanistan for the next several years. Supporting the Afghan security forces is expected to cost several billion per year, declining to $2.3 billion in 2017 and beyond. The cost of sustaining a military presence in Afghanistan could cost an estimated $6 billion to $20 billion, depending on the troop level chosen by policymakers. The U.S. and allies are reportedly considering a light military footprint for Afghanistan after 2014. Even if the U.S. opts for lower troop levels, that does not mean the strategy is sound. Continuing the same strategy that wasted billions of dollars over the past eleven years will only allow the inefficiencies to continue on a smaller scale. Whether it is $40 million or $40 billion, wasting taxpayer dollars is unacceptable. The Kagans’ flippant approach allowed the war budget to spiral out of control. This same thinking is behind the bloated Pentagon budget. Today, the Pentagon budget — the base budget, not including additional costs for the war — has almost doubled since 2001. 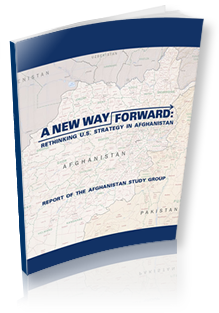 Eliminating wasteful spending in the war budget and developing a more cost-effective strategy for our future engagement with Afghanistan is a good way to start reining in the Pentagon budget. But it is just a first step. We need to reevaluate our broader defense strategy too, setting priorities and applying same scrutiny to the war budget and the non-war budget.